LatisseTM (bimatoprost ophthalmic) is one of the newest ways to improve the appearance of your eyelashes. It was initially used as a glaucoma medication (Lumagen) and was found to have increasing eyelash growth as a side effect. It has subsequently been repackaged as a prescription medication to promote cosmetic improvement in eyelash growth. Latisse is used at bedtime and is applied to the base of the upper lid lashes with a small brush to increase length, thicken and eventually maintain the cosmetic appearance of your eyelashes. An initial increase in length can be see by eight weeks of treatment and thickening follows. It takes up to 16 weeks to see the full cosmetic results of the medication. 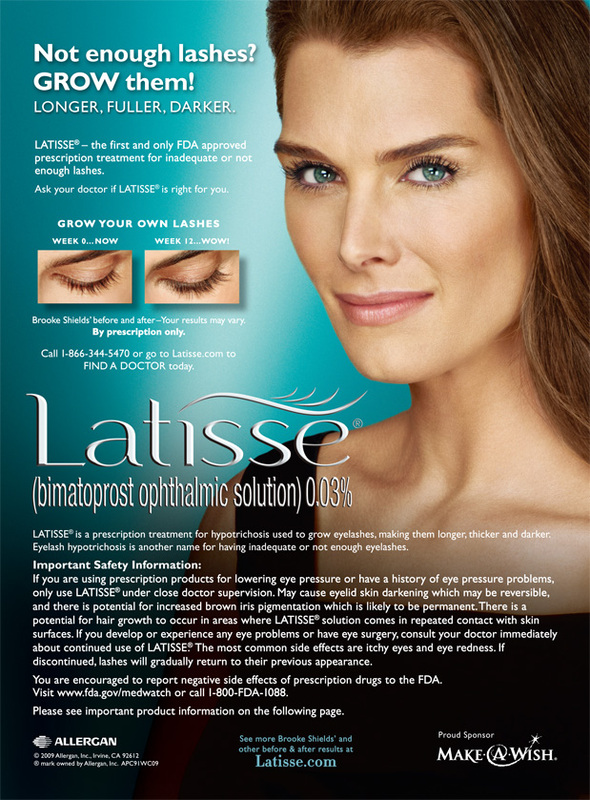 Latisse is available only with a prescription and is dispensed at Aiken Plastic Surgery. Patients are instructed on the use of the Latisse prior to purchasing their initial presciption. Possible adverse effects include but are not limited to: darkening or irritation of the eyelid margin where the medication is applied and the rare complication of permanent brown pigmentation in individuals with blue irises if the medication is applied directly into the eye as in the treatment of glaucoma. Eyelashes will return to their original thickness and length once the product is discontinued.